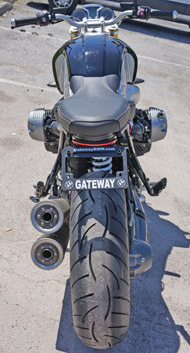 R nine T fender eliminator license plate holder and tail light brake light and Rear turn signals all integrated in one bright strip light. 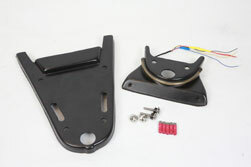 It includes all hardware and instruction to correctly install this on your Bike. 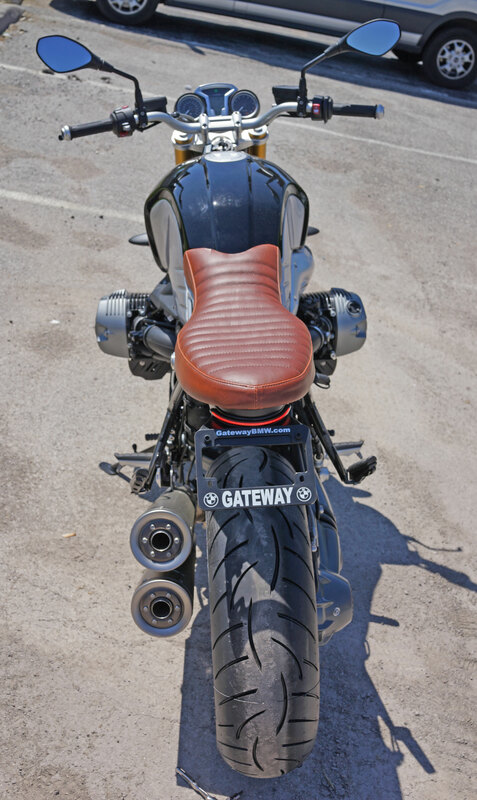 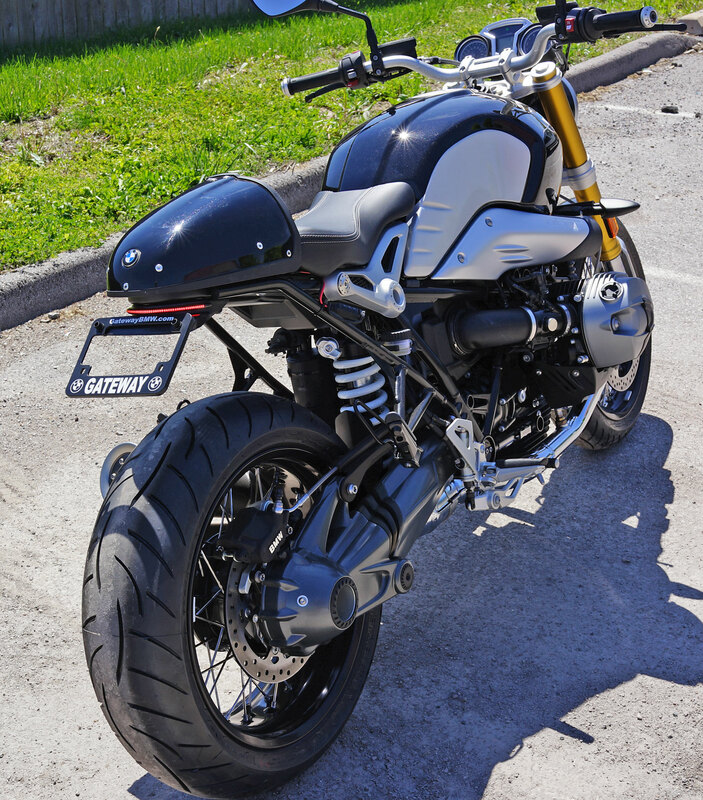 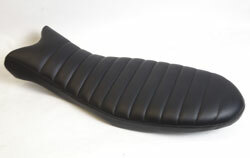 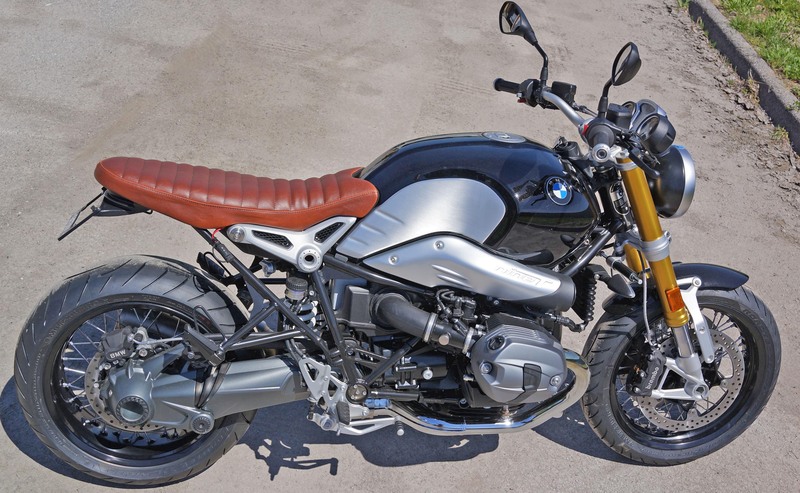 It is compatible with the stock seat as well as the factory BMW cafe hump. 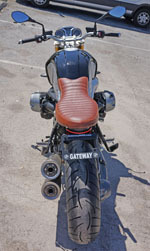 It is also compatible with our seats. 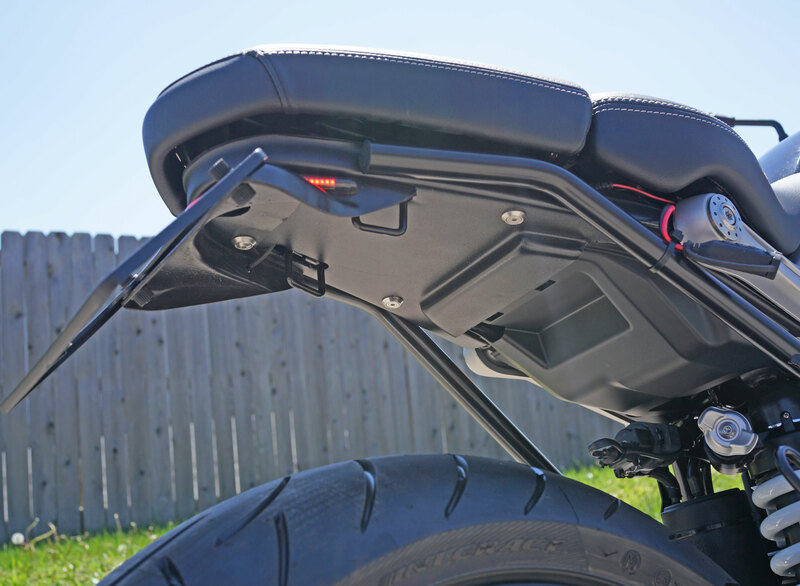 It drastically cleans up the rear section of your bike and gets rid of the abomination of a tail light that your bike came with. The plastic assembly is made of Kydex, a material used in making high end tactical gun holsters that amounts to double what cold rolled steel costs. 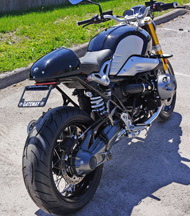 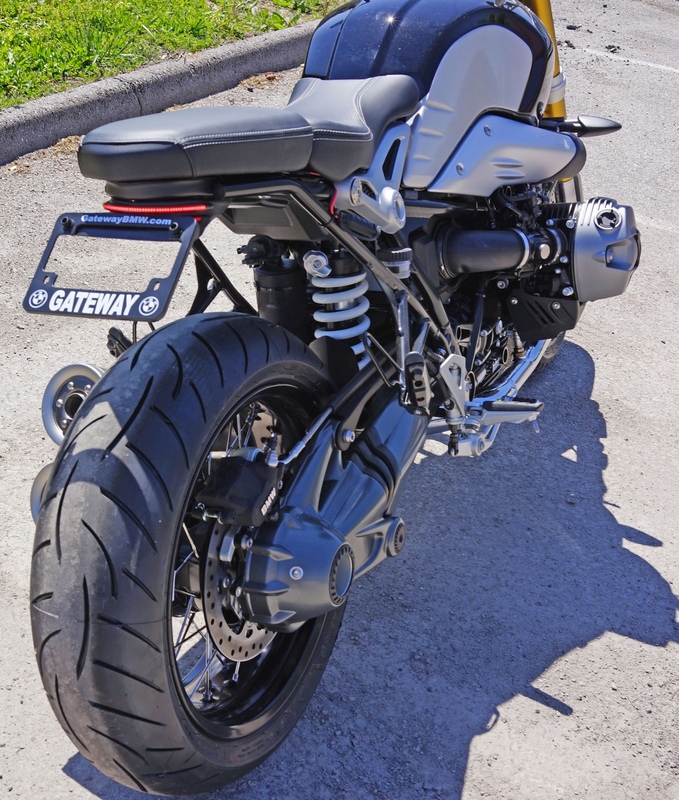 It is a very quality part and most integrated looking tail tidy available for this awesome bike. Add a custom brown or black seat to add some comfort and more vintage flavor to your R nine T. Made with denser foam to allow greater comfort and it is also a little wider in the rear for the passenger. 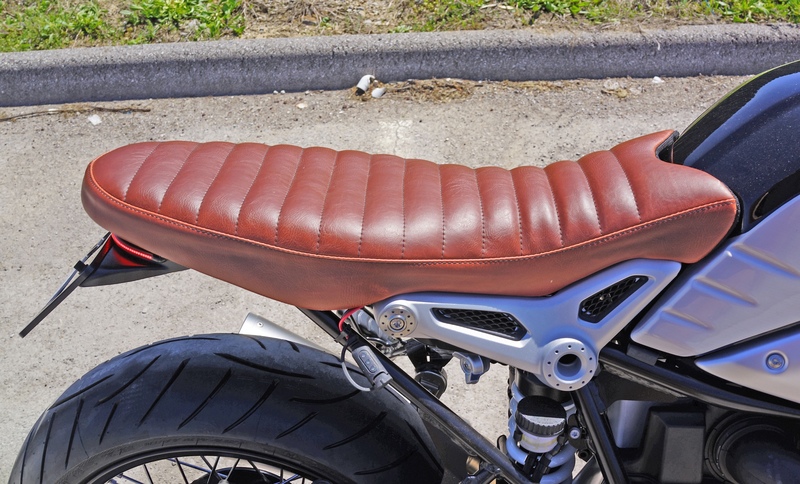 Pleated on top for that old cafe racer style. The seat pan is made of fiberglass. 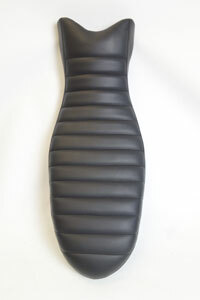 Covered in a marine grade material for long lasting service.